TICKETS: $35 in advance or $45 at the door, if available. A $15 designated driver’s ticket is also available; non-alcoholic beverages will be provided to accompany all that tasty food. You can purchase your tickets on our website, or by calling us at 908-735-8415. Where can you go this weekend for a great selection of beers, wine and delicious food, live music, raffles and great art? Why, the Hunterdon Art Museum, of course! 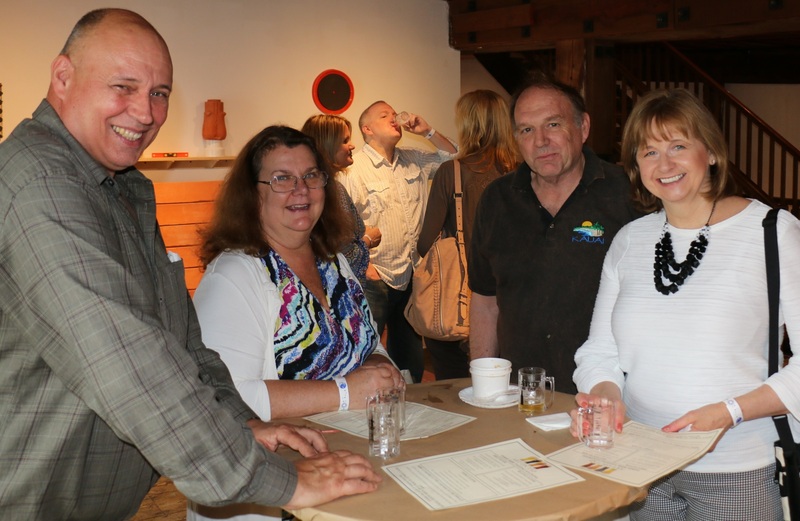 Join us this Sunday, 2 to 5 p.m. for Art on Tap, our 6th annual drink and food tasting fundraiser to benefit HAM's education programs and exhibitions of contemporary art, craft and design. Get Your Art on Tap Tickets Today! You can sample a delicious assortment of craft beers, hard ciders, wines and food from the area's top restaurants. And, if you like whiskey come sample some Manatawny Still Works Keystone Whiskey. You can see all our beverage tasting choices on our website. Hunterdon Brewing Co. is supplying the beverages, and will have several tasting tables set up. Participating restaurants donating food include: Metropolitan Seafood Co., BEX Eatery & Catering Co., A la Carte, Frank’s Restaurant, Cryan’s Tavern, Designer Dawgs, Circa Restaurant, and Scout’s Coffee Bar + Mercantile. 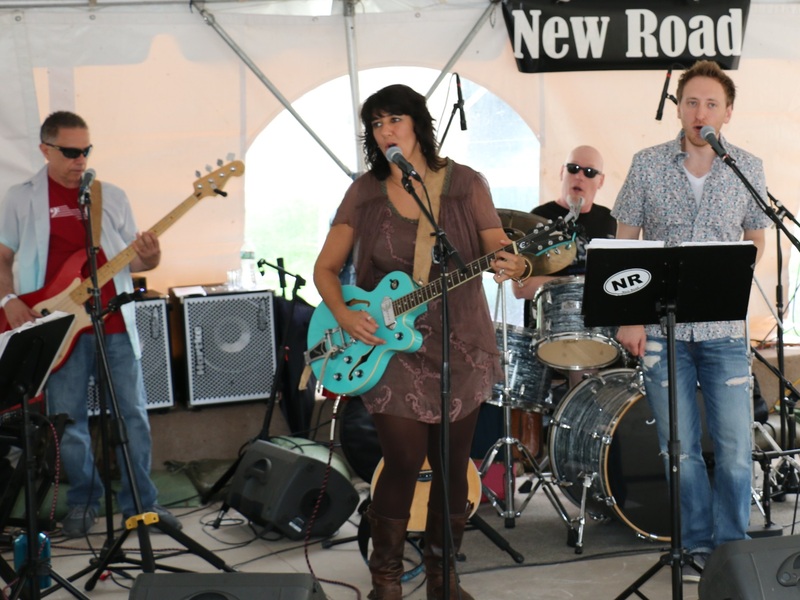 Enjoy live music with New Road Band performing on the Museum’s Toshiko Takaezu Terrace. Feeling a little lucky? Our raffle this year features an assortment of fabulous prizes you're going to love! Inside the Museum, you can explore our current exhibitions of contemporary art, craft and design: Multiple Ones: Contemporary Perspectives in Printmedia, Katie Truk: Stretched Sculpture, and Mary Oestereicher Hamill: regardisregard. Art on Tap sponsors are Metropolitan Seafood Co. and Northfield Bank. WHEN: Saturday, June 9. Rain date is Sunday, June 10. Gates open at noon. WHERE: Fieldview Farm, 342 Quakertown Road, in Pittstown. TICKETS: on sale at the Museum for $35 (children under 12 can get in for free), and will be available at our Art on Tap fundraiser. Tailgate slots are also available for purchase at the Museum. Enjoy the sport of kings while helping out the Hunterdon Art Museum at the Hunterdon Polo Classic. Purchase your Hunterdon Polo Classic tickets at HAM, and all proceeds from that sale will go to the Museum. It's a great way to check out the sport of kings while helping the Museum bring you top-quality education programs and exhibitions of contemporary art, craft and design. To learn more, visit the Hunterdon Polo Classic website.